English, John R.. "Wartime Information Board". The Canadian Encyclopedia, 28 August 2017, Historica Canada. https://www.thecanadianencyclopedia.ca/en/article/wartime-information-board. Accessed 24 April 2019. Wartime Information Board, est 9 Sept 1942, succeeded the Bureau of Public Information, which had been formed early in WWII to issue certain information on the course of the war to the public. By 1942 the government believed that its troubles over CONSCRIPTION derived from inadequate publicity. ​Wartime Information Board, est 9 Sept 1942, succeeded the Bureau of Public Information, which had been formed early in WWII to issue certain information on the course of the war to the public. By 1942 the government believed that its troubles over conscription derived from inadequate publicity. In Aug, Cabinet approved the creation of a largely autonomous information board. Charles Vining was WIB chairman until Jan 1943, when educator Norman A.M. MacKenzie succeeded him. The real power on the board was held by its general manager, John Grierson, who promoted the war as a vehicle for social change. The approach naturally created some political controversy. In 1944 Grierson was succeeded by A. Davidson Dunton, who followed Grierson's general direction until the end of the war. 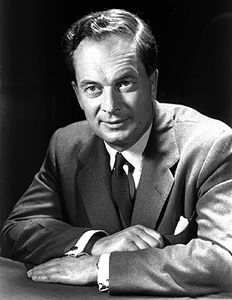 The board influenced the public's interpretation of the war, and pioneered systematic public-opinion polling in Canada.